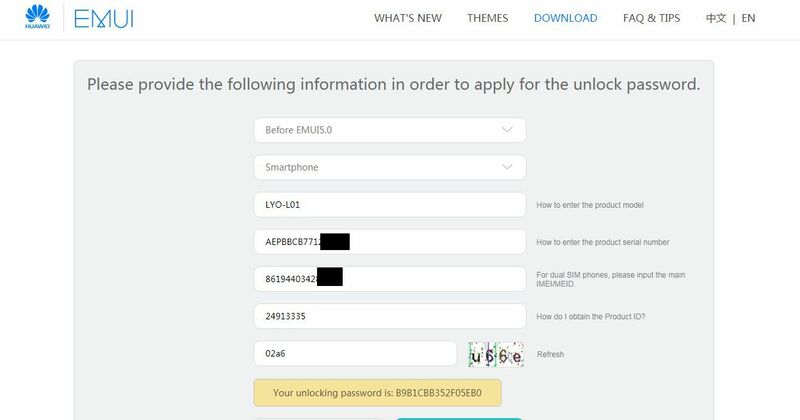 How to get password for unlocking Bootloader in Huawei only by IMEI ? 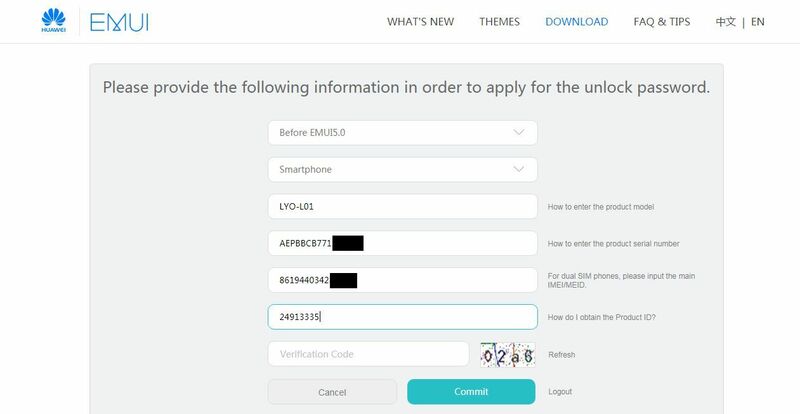 The Bootloader unlock code for Huawei phones can be obtained from the Huawei official site at EMUI Huawei. To receive a password, please register an account on this site and fill out a form with information about your phone. I will focus on this part. A lot of people have trouble finding the right data. Especially for them on the IMEI24 page is Serial Number and Product ID Checker for Huawei phones. Just enter your phone IMEI number and get the required data. 3. After 2 seconds, you will receive a complete phone warranty information and a Serial Number, Product Model and Product ID. 2. Enter the required data, IMEI number, serial number, product model and Product ID.